Warriors owners Colin Goldring and Jason Whittingham were among more than 100 volunteers who braved numbing cold and driving rain to sleep rough for a night to raise awareness and money for three homeless charities. 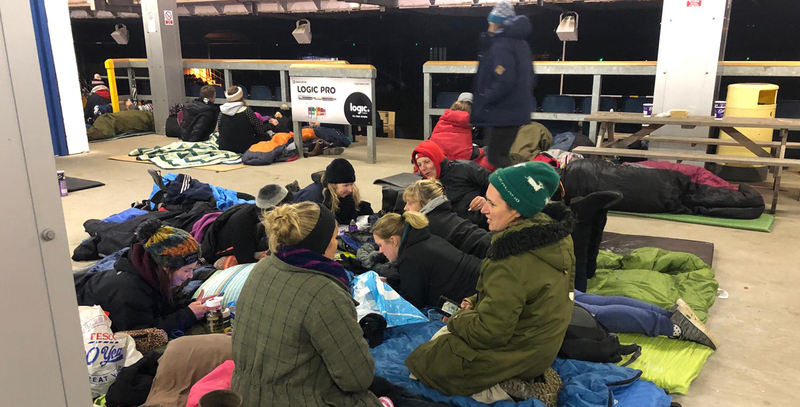 Goldring and Whittingham took part in the second Big Worcester Sleep Out in the South Stand of Warriors’ Sixways stadium which aims to raise £40,000 for the Warriors Community Foundation’s pioneering Homeless Rugby Team, Maggs Day Centre and St Paul’s Hostel. They were joined by representatives of local businesses, councillors, community leaders as well as volunteers from the three charities and homeless people. “It was a cold and wet night but we only had to suffer the conditions once whereas the people who really have to sleep out suffer those sort of conditions most nights or for several nights every year if they don’t have a safe place to live,” Goldring said. 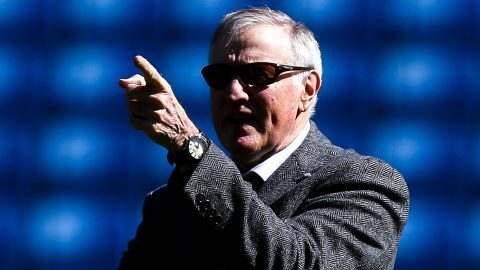 “So although it wasn’t a pleasant experience the people that I really feel for are those who have to do it more often than we did. “It makes you appreciate the creature comforts and the security of having your own place to go back home to. “We were in a secure stadium, we had sleeping bags, we wrapped up warm and we were prepared for it. We knew it was only for one night. I wouldn’t have fancied doing that as a permanent thing. I cannot imagine what it’s like. “I can’t say it was a nice experience in terms of the weather and the cold. But it was fantastic to see the community coming together. “There were companies, individuals, homeless people and shelters represented so it was good to see everyone come together to support three fantastic charities. “As a club Warriors are proud to have supported the Sleep Out and to be doing what we can for the community as a whole and for the homeless as a part of that community. The Sleep Out volunteers were sustained with food and hot drinks supplied by AC Event Catering and The Worcester Rapid Relief Team. Before the Sleep Out began the Warriors Community Foundation Homeless Team played an Invitation XV captained by former Warriors wing Nick Baxter and including club legend Craig Gillies. Donations to support the Big Worcester Sleep Out can still be made here.